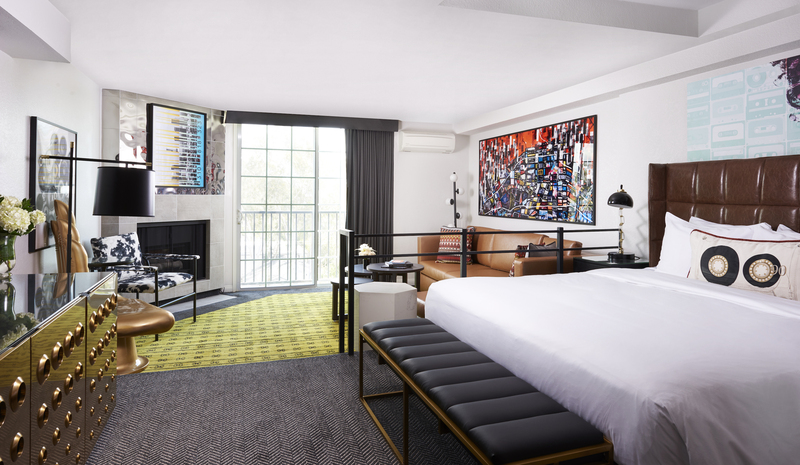 LOS ANGELES, June 13, 2018 /PRNewswire/ -- Montrose West Hollywood, formerly known as Le Montrose Suite Hotel, is welcoming guests to experience the property's $15 million property-wide remodel, which includes 133 suites, lobby, a new café and lounge, updated meeting spaces and refreshed rooftop pool deck. 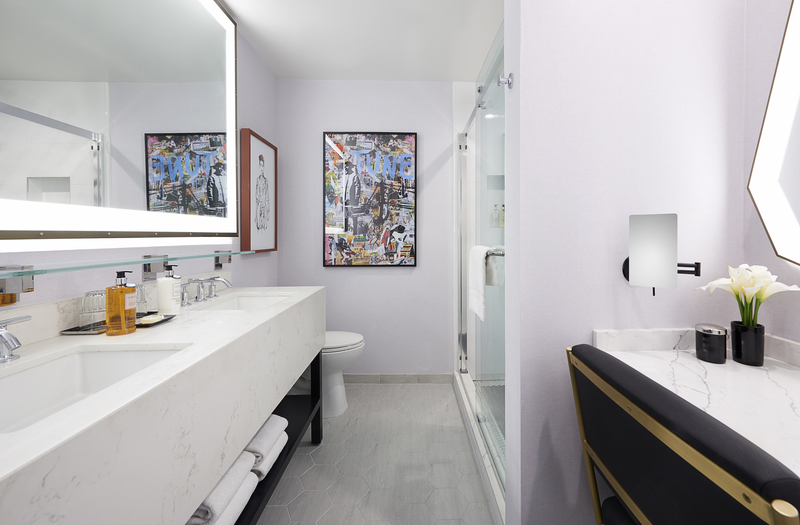 Inspired by Hollywood's past and present entertainment industry, the hotel's new design blends urban style with upscale sophistication, providing the perfect home away from home for artists and creatives in the heart of West Hollywood. 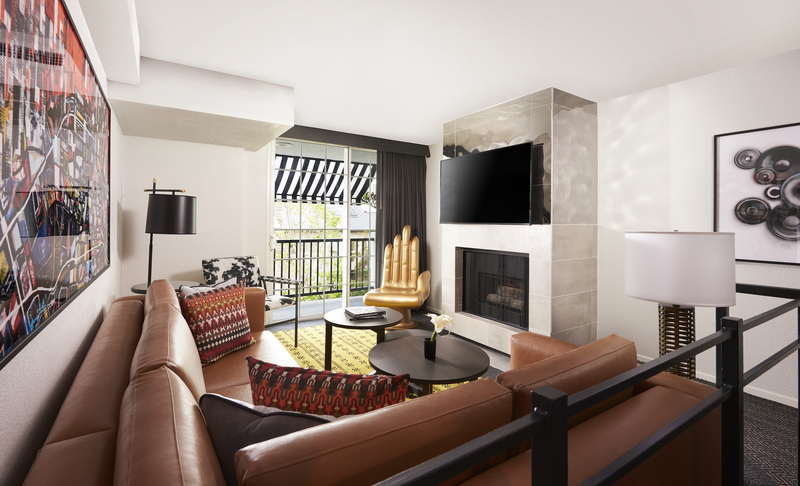 "We have significantly enhanced our unique hotel by incorporating the spirit of West Hollywood and LA's entertainment history into every aspect of the guest experience, from the interior design and logos to the dining and lounge spaces," said Andrew Maffei, general manager of Montrose West Hollywood. "We look forward to sharing the reimagined Montrose West Hollywood with new and returning travelers while still providing the outstanding VIP service our guests have come to expect." Montrose West Hollywood teamed up with designer Jackie McGee of Perkins+Will to transform the hotel into an artistic destination that's ideal for both leisure and business travelers by incorporating eclectic furniture, lighting and art pieces that provide a distinctive design with residential scale. Coinciding with the redesign, Montrose West Hollywood has introduced new programming and amenities, such as a nightly music-themed happy hour with wine pairings and in-suite recipe kits. Montrose's 133 all-suite accommodations have been reimagined as expansive retreats for artists and musicians. A color palette of neutral shades with pops of vibrant reds, blues, yellows and oranges provides an environment that blends relaxation with creativity, while uses of leather and mixed metals bring an upscale industrial vibe to the suites. Entertainment-inspired décor and artwork by local creatives add a sense of place to the contemporary space. Standout pieces include a large, psychedelic painted portrait of a woman over cassette tapes and a gold throne in the shape of a hand. Ranging from 300-550 square feet, the suites feature separate living spaces, fireplaces and spacious bathrooms with luxury bath amenities from Gilchrist & Soames. Many of the rooms additionally feature private balconies, kitchenettes and dining areas. In the minibar, guests will find a variety of snacks and refreshments, a "love box" for guests who want to get to know each other better and a black bowtie for those last-minute invitations to high-profile Hollywood events. Montrose West Hollywood has introduced a brand-new café, lounge and rooftop bar for the exclusive use of hotel guests. Led by Executive Chef Bryan Achay, the hotel's dining concept features global comfort cuisine with an upscale twist that provides an approachable yet memorable dining experience. While Montrose's guests may hail from all corners of the world, Chef Achay strives to make the dining table feel like home with local ingredients and satisfying dishes. The new Timbre Café is located off the lobby with a contemporary design that pays tribute to Hollywood's greats, including a massive, pop art-style mural of Bruce Springsteen and celebrity mug shots. The restaurant's name, Timbre, blends the art of music and cooking. Timbre is musically defined as a specific, unique quality of sound made by any voice, instrument or combination of the two and Chef Achay acts as a composer, drawing inspiration from his culinary journeys across the globe to create a cohesive menu where all culinary "notes" blend together for a beautiful composition. Timbre offers an all-day dining menu, serving breakfast, lunch and dinner, in addition to a grab-and-go section for travelers to pick up pre-made sandwiches, snacks, fresh smoothies and fine Italian Lavazza coffee. Guest-favorite dishes at the café include Edamame Hummus with Balsamic Caviar and the Vietnamese Banh Mi Panini served with signature parmesan truffle fries. Timbre Café's menu also is available for in-suite dining, at Tone Lounge or the rooftop pool deck. For extended-stay travelers who are weary of continuously eating out or for the chef-inspired, the café will offer "Montrose Take-and-Make" recipe kits, influenced by popular meal delivery services, for guests to prepare meals in their suites' kitchenettes. The brand-new Tone Lounge offers a stylish space for guests to meet, work and play while visiting West Hollywood. During the day, Tone provides comfortable seating areas for guests to work on creating the next trend in music, fashion, technology or wellness, whether singularly inspired or to meet with colleagues and clients. In the evening, the lounge transitions to feel like a chic living room for pre-dinner cocktails or catching up with friends. Tone Lounge kicks off each evening with a manager-hosted "Vino & Vinyl Hour," blending complimentary wine with a different music selection from Montrose's vinyl library. Examples of music-themed evenings include "Totally 90's Tuesdays," "Throwback Thursdays" and "Funk Fridays." For those who would like to nosh while they sip, Timbre Café serves specially priced small plates paired with the evening's wine selection. Timbre Café's regular menu is available to guests in Tone Lounge all day. The refreshed Tonic Rooftop Bar offers stunning views of West Hollywood while guests dine alfresco by the heated pool or linger over a cocktail at sunset. The bar's standout brunch is available every Sunday featuring a delectable menu of creative brunch favorites such as Kalua Pork Eggs Benedict, braised for 48 hours and topped with Siracha hollandaise sauce, and the Bunny Mary cocktail, made with vodka, carrot juice, fresh lemon juice, honey syrup and hot sauce. Though the bar is seasonal, poolside dining is available year-round. The revitalized rooftop pool deck and tennis court offer the perfect destination for guests to relax and soak in the sun or maintain an active lifestyle. Overlooking West Hollywood and Beverly Hills, the pool deck offers a calming environment with shades of white and blue pillows, cushions and towels while providing plenty of seating, private cabanas and daybeds to enjoy the California sunshine. Guests may also enjoy complimentary use of the hotel's fully lit, regulation-size tennis court located on the rooftop. Tennis equipment is available at the front desk. Montrose West Hollywood's updated meeting and event spaces can accommodate intimate social events or large group conferences, including receptions, brunches, wedding and baby showers, birthdays, private dinners, entertainment industry events, fashion photo shoots, corporate meetings and weddings. The hotel's 825-square-foot multifunctioning conference room has been updated with sleek new furniture and state-of-the-art technology and business amenities. The hotel's rooftop space provides a refreshing option to take business and special events outside surrounded by nature and the skyline of West Hollywood. Montrose West Hollywood is thrilled to invite guests to experience all that is new at the hotel with a special offer for stays from now through Dec. 31, 2019. 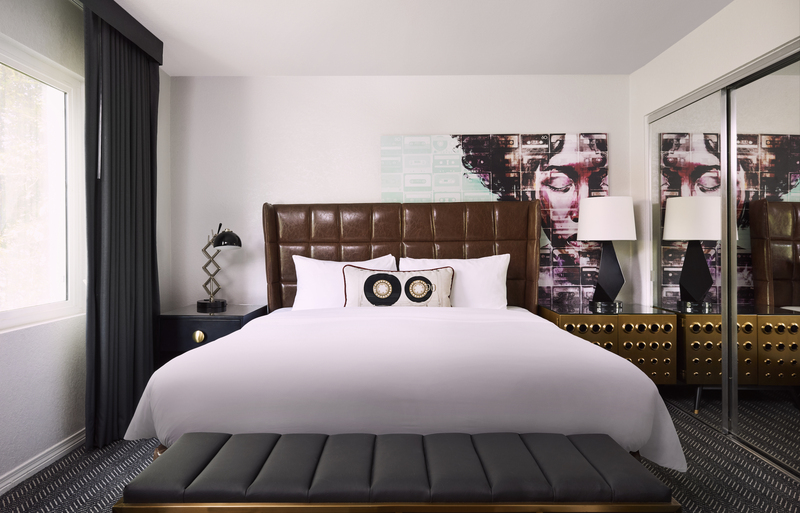 Book the "Montrose Reimagined" package and receive 20 percent off three nights or more and $20 daily dining credit to use at Timbre Café, Tone Lounge, Tonic Bar or the in-suite minibar. This offer must be booked before July 31, 2018. For more information or booking, please visit www.montrosewesthollywood.com or call (877) 369-4918.